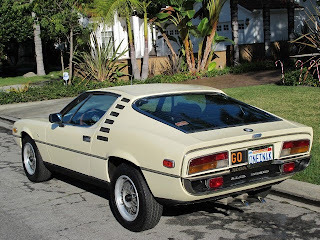 The seller, Beverly Hills Car Club, leaves very little information about this Montreal, but has posted a ton of pictures. The Cliff's Notes version of the history of the Montreal is this... It was introduced to the world in 1967 at Canada’s "Expo '67". 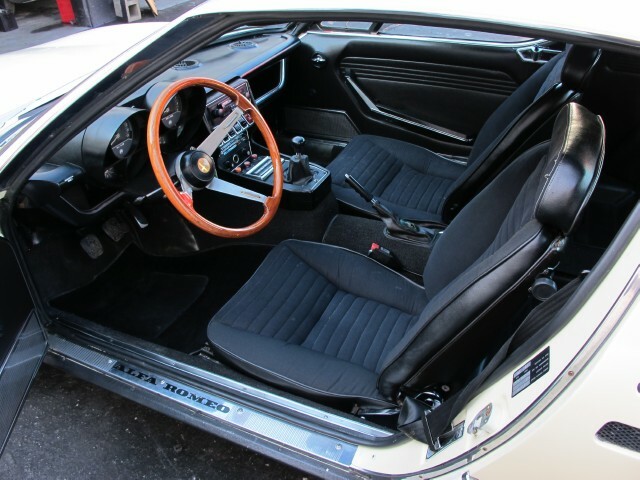 The production model wasn't introduced until 1970. The engine is a 4 cam all aluminum 2600cc V8. It's essentially a detuned version of Alfa’s T33 racing engine. The body was designed by Bertone. The suspension is from the Giulia GTV. About 4000 were produced in total. It was never officially sold in the US, but some new ones made their way here via Canada. 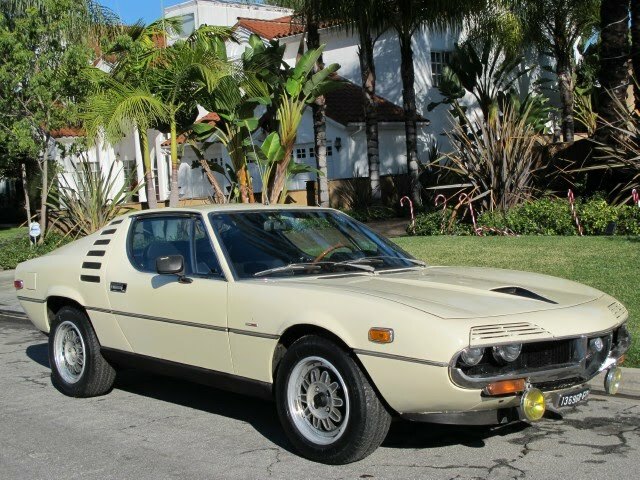 In their listing, Beverly Hills Car Club says you should call them for more info. Apparently a few people have and liked what they heard. This car has already been bid up to $25,000.00 with over 8 days to go in the auction. I've always thought of these cars' engines as two Alfa 1300s sandwiched together, running sandwiched SPICA FI units. Not that that's correct, just makes it seem closer to my car. What kind of grip do you think those Pirelli P6s offer after 25 years? I remember them on my dad's '86 Saab 9000 turbo. Probably useful if you want to see what it's like to drive on snow.